Are you looking for a fun and colorful way for your preschoolers and kindergarten kids to practice and reinforce letter identification? 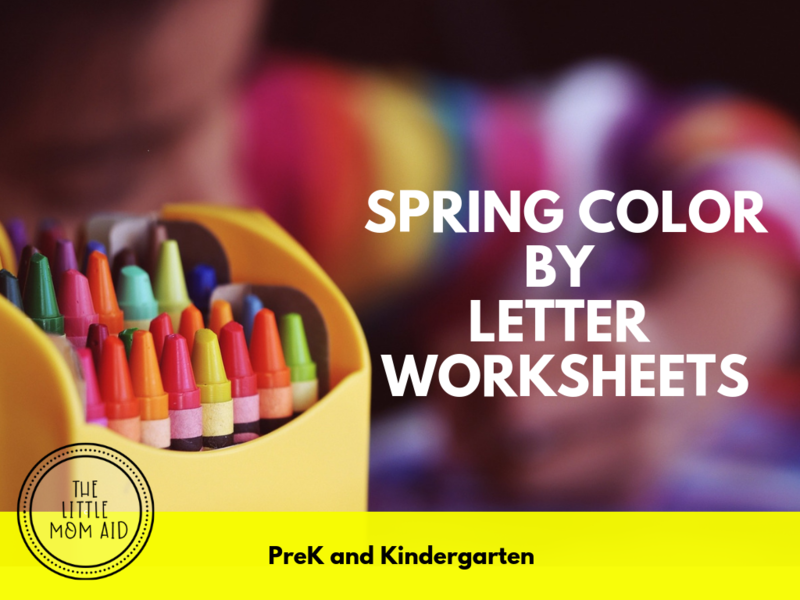 This spring Color by Letter activity pack has you covered! Your kiddos will review their letters from A to Z in both uppercase and lowercase! This post may contain affiliate links. See my Disclosure Page HERE for further details. Color by Letter worksheets are an excellent no-prep activity that develop your learners’ letter identification skills as well as reading their color words. Color by letter printables are quite versatile. They can be used for review, homework, early finishers, literacy centers and independent work. Your kids will love these color by letter activities! The No-Prep Color by Letter printables are easy to use and complete. Review the code with your students make sure the letters and colors are correctly identified. Have your students color in the color words in the code so they can refer back to it. Want this Spring Color By Letter Pack? Grab it HERE! To begin, go over the code with your students. Have them identify each of the letters and read aloud the color words. Next, have your students color in the words with the matching colors so they can easily refer to the code while they color in the picture. Students then search for the letters in the picture and color them in with the color assigned in the code. They continue until the entire picture is finished and the image is revealed. Grab this pack of 8 Spring Color by Letter worksheets HERE. Want to share this with friends or Pin this for later? Use the image below!